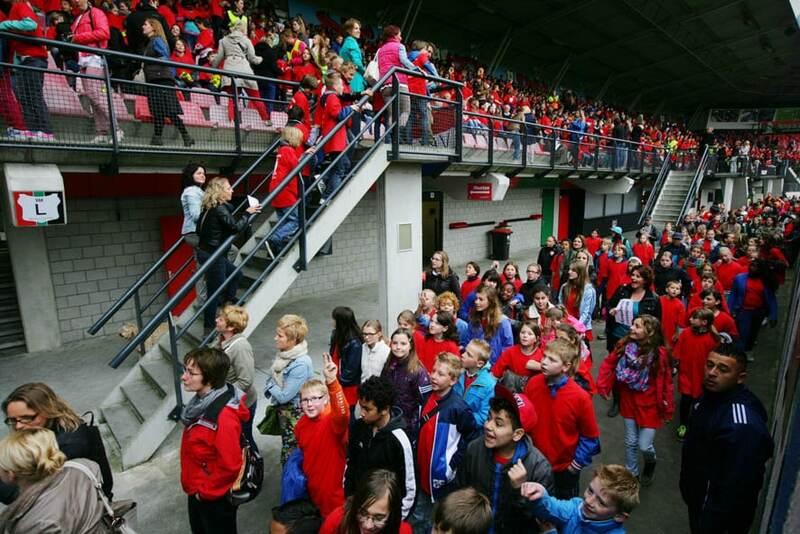 Nijmegen, the Netherlands – Today, 2,107 children in the Netherlands successfully attempted a new world record for the largest ever cardiopulmonary resuscitation (CPR) training exercise using automated external defibrillator (AED) training sets. Although the final confirmation from the Guinness Book of Records will be verified in six weeks, the results show a new world record will be set. Philips, global AEDi market leader, supported this world record-breaking attempt by providing the CPR training systems. The event was organized by the foundation AED4ALL and the Canisius-Wilhelmina Hospital (CWZ) in Nijmegen, where children, between 10 and 12 years of age, demonstrated the ease of using these advanced lifesaving systems during a successful group training exercise. Sudden cardiac death from cardiac arrest is the most common cause of death worldwide, accounting for more than half of all deaths from cardiovascular disease . The best chance to survive a cardiac arrest is achieved when defibrillation, using an AED, is performed within a couple of minutes from the onset of the cardiac arrest. The previous Guinness World Record for the largest AED CPR training exercise was set in January 2012 by 1,708 people in Singapore. The ultimate goal of today’s project is to help reduce the number of deaths resulting from cardiac arrest. 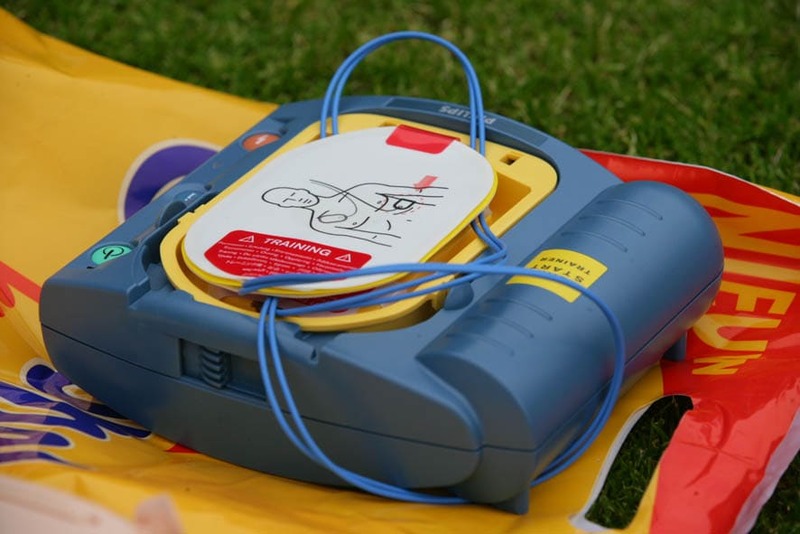 By teaching this group of children how to recognize a medical emergency and how to use an AED system at a young age, the training exercise may help them to contribute to achieving the goal. Philips considers it important to increase awareness on how to use an AED in order to save lives. 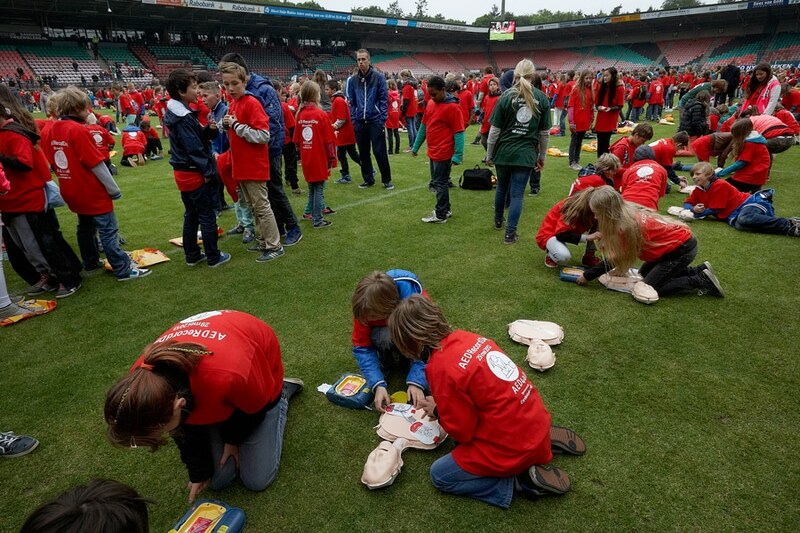 To prepare the children for the record-breaking CPR training exercise, hospital employees have been providing training programs at various schools in Nijmegen and the surrounding regions for the past few months. The Philips AED training systems used today have specifically been designed to train people in the use of AEDs. They operate in exactly the same way as a real AED, except no shocks are emitted. They can be distinguished by their blue cases instead of the standard red ones. "We are extremely proud that this group of children was able to achieve its goal of breaking the world record CPR training exercise with AEDs. We want people to become more familiar with CPR and AED systems at the earliest age possible, so that they won’t be afraid of cardiac arrest, but rather are aware that they can undertake action and possibly save a life. We are pleased that Philips has supported our initiative by providing the AEDs which are safe and easy to use," said Anne-Marie Willems, the Canisius-Wilhelmina Hospital CPR Coordinator. "This attempt to break the world record performed by the children and the Canisius-Wilhelmina Hospital is a very relevant initiative. Since cardiovascular disease is on the rise, it’s extremely important that an AED system becomes a trustworthy piece of equipment in our daily lives, that is publicly available, and can be used by both young and old should an emergency occur," said Henk Valk, General Manager of Philips Healthcare Benelux. Philips is a pioneer in developing treatments to combat sudden cardiac arrest. The company sold its one millionth AED at the end of last year; it also announced a few months ago that it will provide AEDs for all KLM and Air France passenger flights. In addition, Philips organizes and supports various regional projects intended to increase awareness related to the use of AEDs across the globe (http://www.savelives.net/).